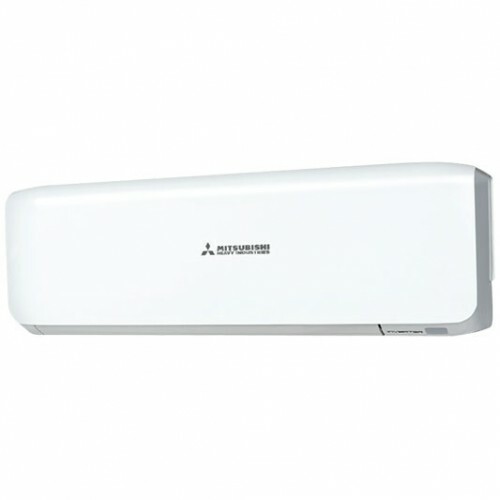 You can enjoy it as cool or warm as you want with this Mitsubishi Heavy Industries air conditioner’s inverter. Its 7.1 kW cooling capacity lets you maintain the perfect indoor temperature on warm days. Plus, the Mitsubishi Heavy Industries SETSRK71ZRA-W has 8 kW heating capacity, so you can keep you and your family nice and warm. It boasts a 3 star cooling energy rating and a 3 star heating energy rating. The most exciting thing about these new models is they have the next generation R32 refrigerant. R32 refrigerant not only requires less energy to achieve desired temperature, it also does no harm to our ozone layer. This powerful long reach air flow of 18 meters from the head unit sports 1197mm indoor unit width, 339mm indoor unit height, and 262mm indoor unit depth. Also, it has 880mm outdoor unit width, a 750mm outdoor unit height, and 340mm outdoor unit depth. The SETSRK71ZRA-W has a 5 year manufacturer warranty. You can also save headaches with help from this Mitsubishi Heavy Industries air conditioner by adding on optional wifi for this unit at an additional fee. I love this unit. It covers our large home well. I love the fact that you can raise the louvers up and not have the air directly hitting you. On some brands you cannot and that can be very annoying.